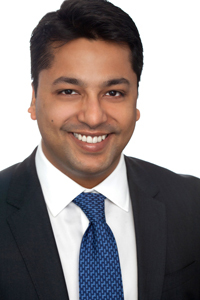 Siddharth Sangal is a Principal at Proprium Capital Partners, L.P., where he evaluates real estate investment opportunities for the Asia-Pacific and European markets. He joined the firm with four years of global experience, spanning across different facets of the finance industry. Prior to joining Proprium, Siddharth was an Investment Professional at India Real Estate Partners, where he focused on real estate private equity deals in India. Previously, Siddharth was an Analyst in Morgan Stanley’s Real Estate Investment Banking Division in Singapore, where he assisted in origination and execution of transactions encompassing M&A and capital markets advisory for clients in South East Asia. Siddharth studied Applied Mathematics & Statistics and Economics at The Johns Hopkins University. While at school, he worked at Barai Capital Management, a long/short equity hedge fund in New York. He also pursued an internship in The Carlyle Group’s Asia Growth Capital team in Mumbai.